The Best Places To Visit For Austin Nightlife? When you are looking for the ultimate in nightlife in Austin, do not be afraid to venture past the bars and clubs. Drive-in movies, karaoke, bowling and poetry nights are just a few of the ways that you can enjoy a night out in this popular Texas town. You can be sure that you will find an activity suitable for everyone. 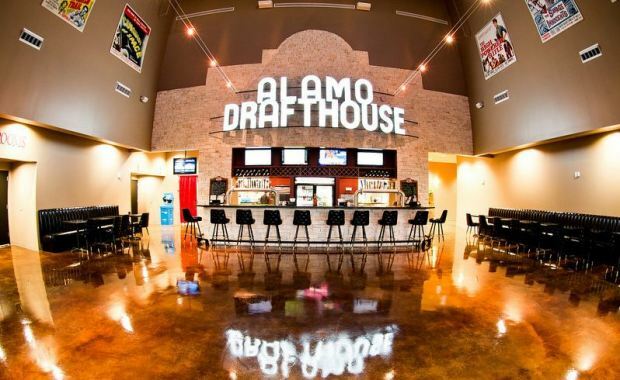 The Alamo Drafthouse was founded in 1997 by Tim League. It started off as a one screen movie theatre venue that offered plenty of alcohol, food and attitude. There are now over 5 locations throughout Austin, but The Ritz location is considered to be the most popular. One reason for this is because this venue is located in 1929 historic theatre that is situated on the infamous 6th street. So enjoy a movie and a beer, but remember to stay quiet during the movie. One step into the Dart Bowl and you will be met by the familiar scent of a bowling alley, but with the added décor and aroma of a greasy spoon cuisine. Fast service and affordable entertainment make the Dart Bowl the perfect location for those who do not have long attention spans. Try your hand at laser tag between your bowling games in the Mission Impossible like laser room. Afterwards, you can enjoy chili cheese fries and some enchiladas. Although the food cannot be compared to what you would find in a 5 star restaurant, customers say it is pretty good. If you are looking for high-quality comedy, look no further than Cap City. On any given night, you may find a local comedian on stage or a traveling comedy tour. The comedy club hosts mic nights and “Marc Bearden’s Punch Show” has been deemed a weekly favorite among patrons. The exterior of the building is reminiscent of a shopping mall, but waiting inside is plenty of laughs, chicken wings and drinks. You should reserve table seats, and try not to stand out unless you want to be included in a comedian’s act. It is difficult not to miss the giant T-Rex and Peter Pan statues on the property. These statues have helped to make this golf course a popular destination and landmark since 1946. It is an appropriate venue for a family fun day as well as date night. The staff is very considerate, and you do not have to worry about being pressured to complete your game quickly. If you find that, beer can help improve your swing, no problem. The Peter Pan Mini Golf Course is a favorite BYOB establishment in Austin. On the weekends, it closes at midnight, so you can spend a significant portion of your evening there if you choose. There are some of the hotspots that you should check out if you are interested in Austin’s nightlife. You will never be at a loss to find something fun and unique to do. Previous PostHomeNext PostThe Best History Of Austin Texas?